"You will reply that reality hasn't the slightest need to be of interest. And I'll answer you that reality may avoid the obligation to be interesting, but that hypothesis may not." Jorge Luis Borges, Death and the Compass. 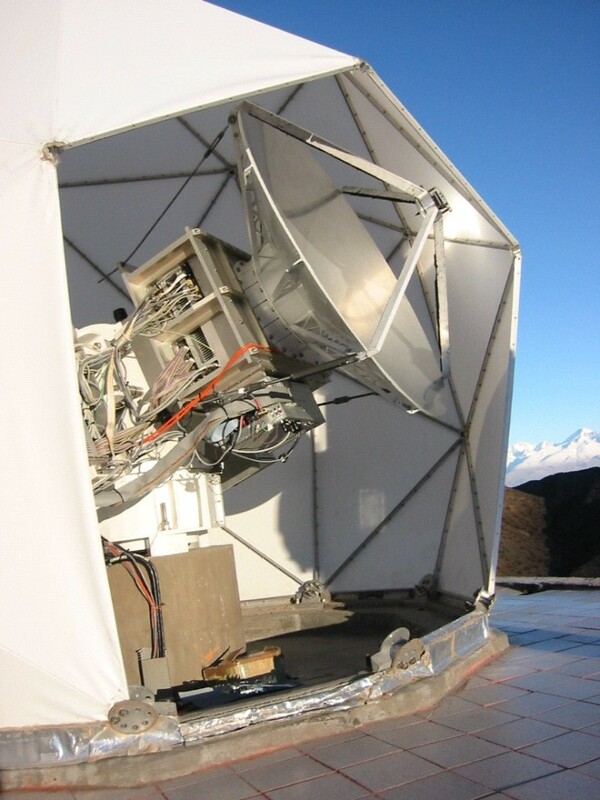 About the picture: the Solar Submillimeter Telescope (SST) with the radome open.